An impressive turnout for last night's meeting in the Buck. This included the AGM and, more importantly, a celebration to mark 10 years of SWAAG's existence. David entertained us with a number of slides and a talk about the group's activities over the last decade and gave thanks to the many people who have helped along the way and made SWAAG what it is today. 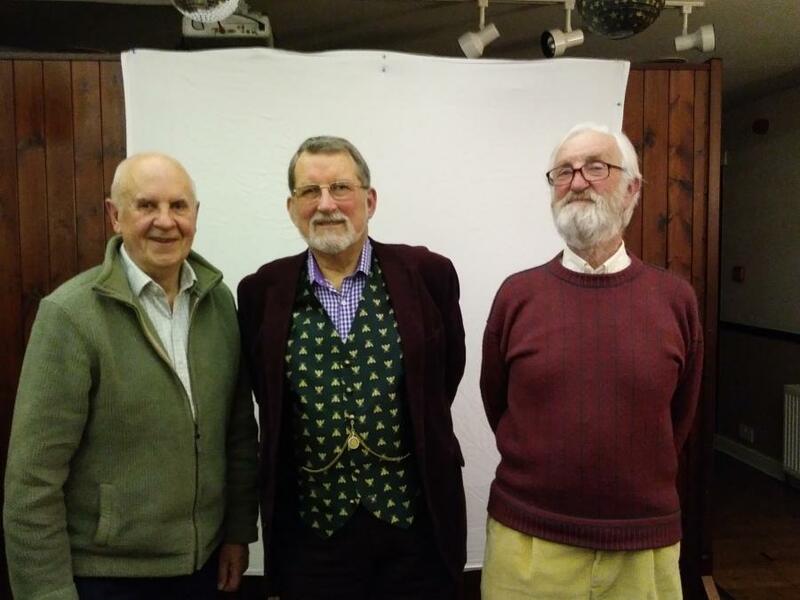 Tim, Peter and Alan (the founding fathers) reminisced about the group's many achievements, and also talked about the possible future direction of the group. Thanks to the staff at The Buck for the pie and pea supper, and a big thanks to Delyth for baking not just one, but three delicious birthday cakes! 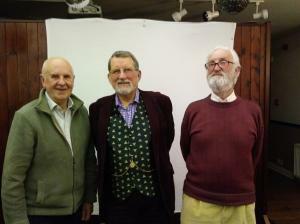 An impressive turnout for the AGM 10 years on and Alan, Peter and Tim don't look a day older. 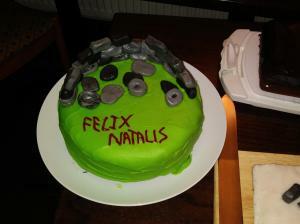 One of Delyth's delicious cakes. Join us for this year's dig! 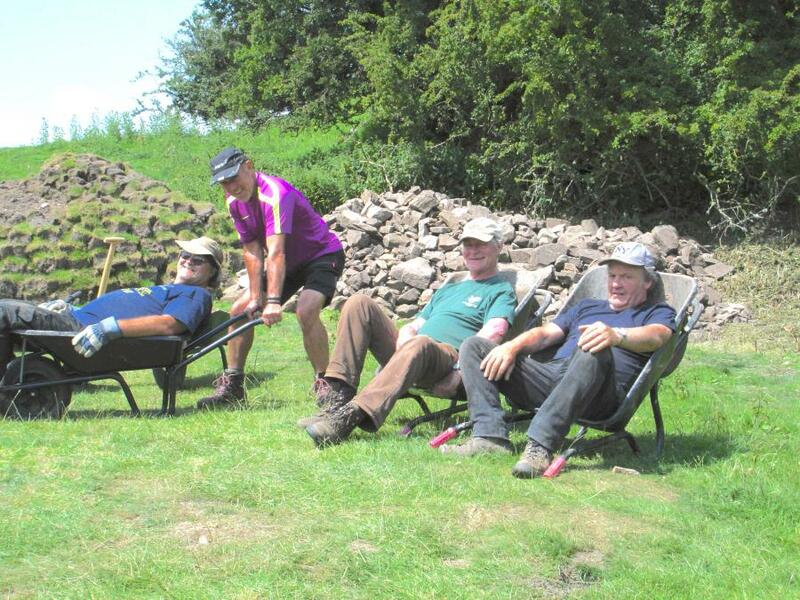 Wheelbarrows have many uses! Lunch time! 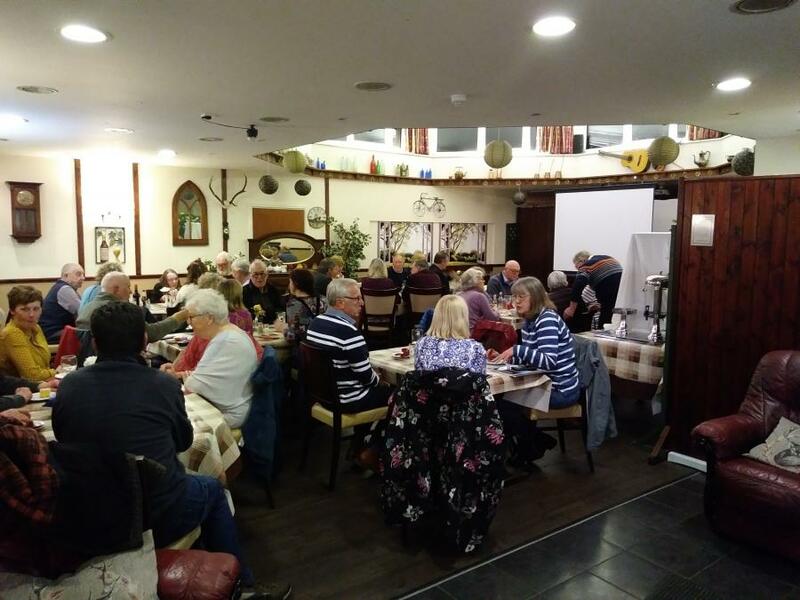 For our February monthly meeting we had a very informative and entertaining talk by Jane Sammells of Curriculum Kitchen. For the main course Jane took us through her interest in history and food and explained to us the work she undertakes across the region to educate and inform people how and what our ancestors cooked and ate. 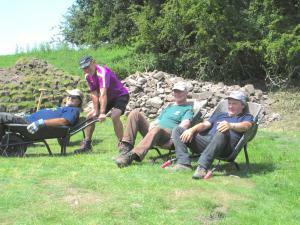 She also brought along Roman style pottery and implements; sherds of which we have found on the Hagg. Jane also explained some of the Roman cooking techniques: lead pellets to sweeten your wine and puddings (did do a lot of good for your health! ), edible snails - introduced by the Romans; edible dormice; garum a fermented fish sauce - went with everything; and the best way to get rennet, to make cheese, from a snail - it seems that the big question is whether or not you boil the snail first, a subtlety that some in the audience preferred not to consider. For dessert Jane had prepared a selection of puddings from different periods: yoghurt flavoured with black pepper and honey; a ‘tart" with a filling of spiced prunes; a “Bishop Aukland custard tart" in which the main ingredients were mashed potatoes and eggs, dried fruit and spices; and boiled barley flavoured with rum, and spices. They were enjoyed by all, samples are taken home to those who missed the evening and recipes were exchanged. 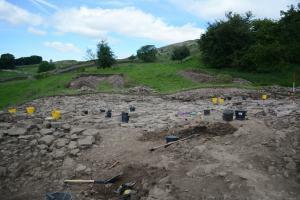 I can just imagine that there may be some interesting conversations at dinner parties in the dales! 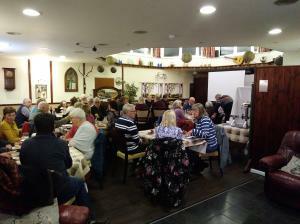 This was a fascinating evening enjoyed by all and our thanks again to Jane for all of her hard work.